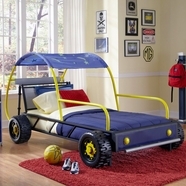 Your little baby is not so little any more and needs a twin bed! At Simply Baby Furniture, there are many styles to choose from including twin beds for toddlers and other twin beds that have drawers in them to help you make the most of your space. 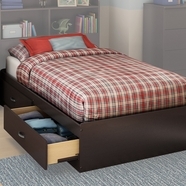 What is especially positive about investing in a twin bed with drawers is that it will allow you to teach your child the value of keeping their room clean. 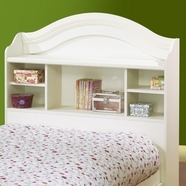 Our top quality twin beds are also conveniently priced to fit your family's budget! 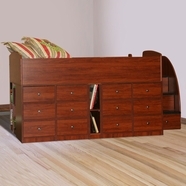 Your little baby is growing up, and now you have to tackle shopping for kids twin beds! 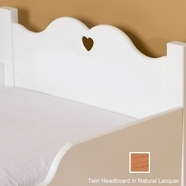 At Simply Baby Furniture, finding a twin bed is easy! We have a huge selection of all the top brands like SouthShore, Young America, Bratt Decor, Berg Furniture, Argington, Little Miss Liberty, and more! You will find any style of bed you need to fit into your current decor and maintain its style for future furniture decisions, all made from the finest and most durable materials. 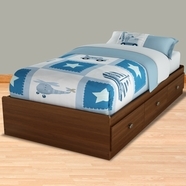 Browse Simply Baby Furniture to find kids twin beds, trundle beds, day beds, bunk beds, round custom princess beds, tents, canopy beds, full beds, storage system beds, captains beds, sleigh beds, and every other bed style imaginable. 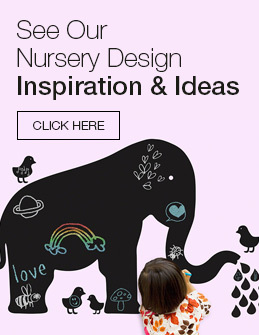 You will find superior value, as well, because Simply Baby Furniture offers you a lowest price guarantee and FREE shipping, so you"ll know you are getting the bed you want at the best price. In addition, your needs are protected with our 100% satisfaction guaranteed. 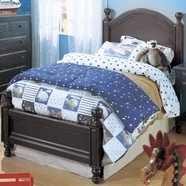 Buying a kids bed is one of the most important furniture decisions you will make for your child, so choose something at a great price that will endure years of use from Simply Baby Furniture.